Did you know Coriander seeds and cilantro leaves come from the same plant? So the plant is a spice and an herb. The seeds are actually the fruit of the cilantro plant. Coriander has something in common with manna as well, and is scheduled to make an appearance in The Essence of Humility:Live and Love Like Jesus (releasing this summer). The Israelites called the food manna. It was white like coriander seed, and it tasted like honey wafers. 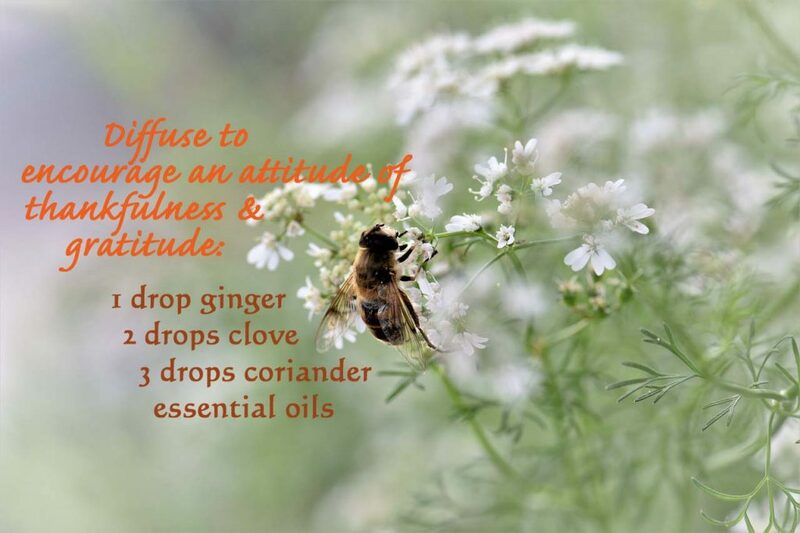 Combining coriander essential oil with clove and ginger may help to free feelings of anxiety and help to create a feeling of gratefulness and thankfulness for what we have. The children of Israel would have been wise to be grateful they had enough for each day. It is an important lesson for us as well.